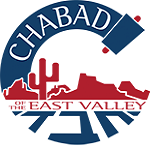 Want to keep in the loop on the latest happenings at Chabad of the East Valley. Subscribe to our mailing list below. We'll send you information that is fresh, relevant, and important to you and our local community. Every Friday night at sundown Lots of Jews in the East Valley and millions throughout the world begin celebrating the Sabbath. The Sabbath is a time of communal prayer, rest, study, and relaxation with family and friends. One of the Sabbath laws derived from the Bible is a prohibition, as observed by traditional Jews, against performing work on the Sabbath. This prohibition includes the carrying of objects. The recognized exception to the prohibition against carrying is carrying within a private area‑‑defined as an area with set borders surrounded by a wall. In the ancient past, cities and neighborhoods were enclosed by walls, and the entire city or neighborhood was considered as one large private area. Accordingly, carrying was allowed on the Sabbath within these cities or neighborhoods. In the absence of a walled city or neighborhood, many communities throughout the world have established, pursuant to Jewish law, a symbolic wall called an "eruv" to surround the community for the sole purpose of permitting, within the eruv, carrying on the Sabbath. An eruv is a symbolic enclosure that surrounds the Jewish community. Under Jewish law, carrying on the Sabbath is allowed within the eruv because the entire area within the eruv is considered as if a single property. An eruv may consist of natural boundaries such as a river bank or of walls, fences, buildings, or hedges. It can also consist of designated utility poles and wires (electric, telephone and/or cable) or strings, as long as the perimeter of the community eruv is uninterrupted. Why is an eruv important to the Jewish community? The celebration of the Sabbath is a communal celebration. Traditional families do not drive, but walk together to synagogue for prayers, and then gather to eat, visit, and study with family and friends. In the absence of an eruv, children cannot be carried or pushed in stroller to synagogue or other family activities. People requiring wheelchairs, walkers, crutches or canes cannot use these outside their homes. Those who take medication frequently must stay home because they cannot carry their medication with them. 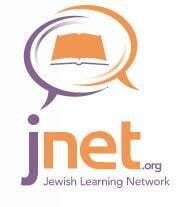 Without an eruv there is a significant diminution of the enjoyment of the Sabbath for the entire community. Those with disabilities, and families with infants and small children are especially affected. In communities with an eruv, families are permitted to carry or take their small children in strollers to the synagogue, homes of grandparents and friends, or even to the park for a swing. People with disabilities are able to use their wheelchairs and other devices. Families and people with disabilities can celebrate and enjoy the Sabbath with the community. An eruv not only enhances the quality of life in the Jewish community, but also makes the community much more attractive to those considering relocating to a new community. For many young couples, the presence of an eruv is key to their decision of where to live and raise a family.